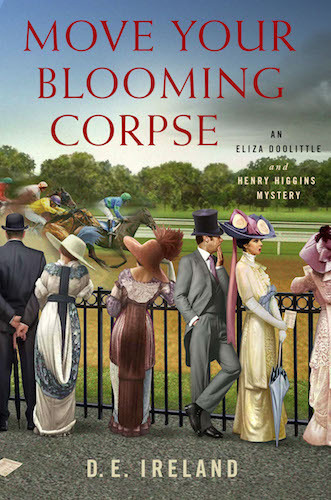 Special Guest D. E. Ireland – Author of Move Your Blooming Corpse – Review & Giveaway too! When Eliza and Professor Higgins aren’t solving crime, they spend much of the week teaching their pupils how to properly speak the King’s English. On their days off, Higgins spends his free time wandering about London, notebook in hand, jotting down every interesting turn of speech he overhears. Eliza, however, prefers shopping, visiting sweet shops, and going to the cinema. Here are a few places where Eliza is certain to be found when she’s not correcting a student’s poor diction at 27A Wimpole Street. WHITELEYS – While the popular PBS series has made Selfridges a recognizable name to Americans, it is Whiteleys that is mentioned in Shaw’s Pygmalion . Indeed, after Eliza moves to Wimpole Street, Colonel Pickering replaces her few raggedy clothes with a lovely new wardrobe from Whiteleys, as this exchange from the play proves. HIGGINS: Where does one buy a lady’s gown? HIGGINS: How do you know that? And why shouldn’t Pickering know that? After all, Whiteleys was the first department store in London. By 1913 it had been in operation for decades. 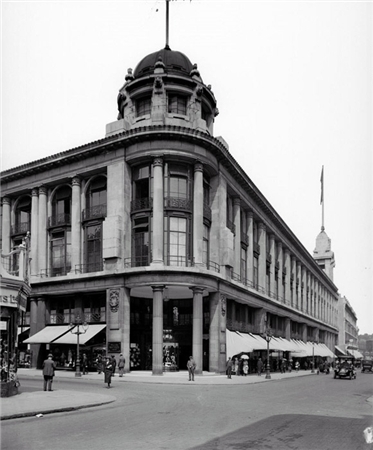 Due to a series of fires, Whiteleys was rebuilt four times; following the fourth fire, the business was moved to Queens Road, reopening in 1912. The new Whiteleys was the world’s largest British store, as well as the most luxurious building in London. It even boasted a roof-top golf course, elevators, and a theater. When Eliza shopped there, she would be greeted by a tiered atrium, glass domes, a splendid sweeping staircase, and marble floors. Taking up an entire city block, Whiteleys offered Eliza the pleasure of shopping for everything from the latest lingerie to furniture. In fact, the elegant department store was such a retail prize that Selfridges, their greatest rival, purchased Whiteleys in 1927. THE ELECTRIC CINEMA & PICTUREDROME – Perhaps even more than shopping, Eliza loves going to the cinema. Pictures of her favorite silent screen performers decorate her bedroom walls, and she is an avid reader of Photoplay. 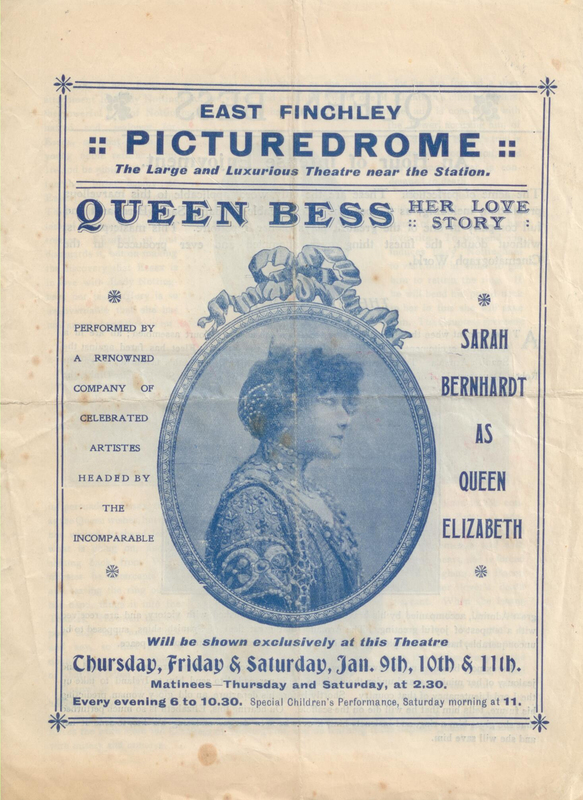 In 1913, the two most famous movie palaces in London were the Electric Cinema in Notting Hill and the East Finchley Picturedrome, which boasted a café and full orchestra. Eliza would have been thrilled not just by the movie, newsreel, and live music which accompanied the screenings, but by the impressive Art Deco architecture of both theatres. It wasn’t all as fancy as it sounds however. Many movie palaces initially did not have rest rooms, which was problematic when children attended the shows. And because many male patrons brought cigarettes and cigars to the showing, Eliza would often watch the film through a cloud of tobacco smoke. This may have been why many cinemas of that era were rather odiferous, requiring theatre attendants to regularly spray the air with disinfectant fluid. Still Eliza tries to attend the cinema every Friday, where she sits gazing up at the screen, riveted by such stars as Dorothy and Lillian Gish and matinee idol Max Linder. BAYSWATER CONFECTIONERY – Given how much Eliza loves sweets, she usually stops in at Bayswater Confectionery during her day off. Unfortunately, Eliza can no longer go to another favorite spot – the tea pavilion at Kew Royal Botanical Gardens – which was burned down in early March by the suffragettes. That caused an even greater uproar than when they trashed the orchid house. While Eliza supports the cause, she finds it puzzling that suffragettes targeted the tea pavilion. After all, most of the patrons were women. Luckily, London boasts more than enough tea rooms and confectioneries to satisfy Eliza’s sweet tooth. When Eliza is done shopping at Whiteley’s, she heads for Bayswater Confectionery, only a stone’s throw away from the famous department store. Here she buys her favorite chocolates, particularly Fry’s chocolate creams – dark chocolate with a fondant center, plain, peppermint, and orange. 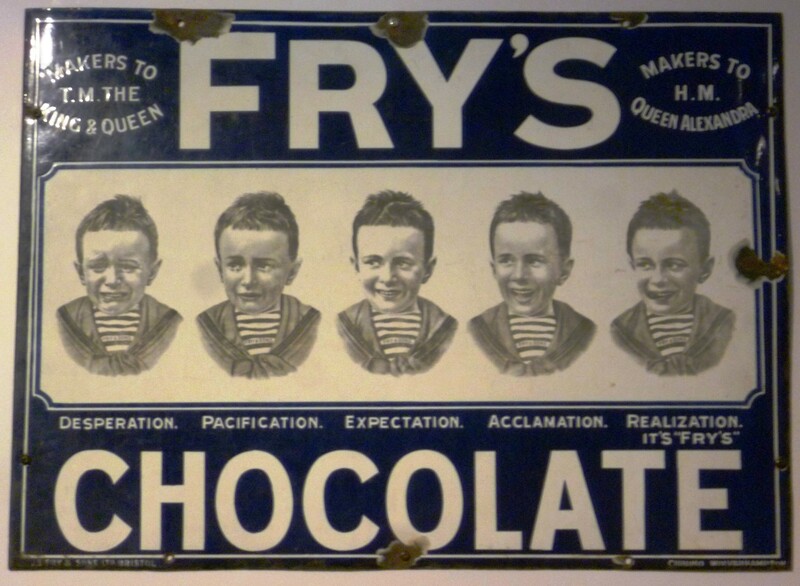 Fry’s were first produced in 1866, and are now made by Cadbury’s. In fact, Cadbury’s milk chocolate bars were introduced in 1913. SELFRIDGES – Eliza is an Edwardian shopaholic, and retail therapy takes up much of her free time. Although she received her first fashionable wardrobe from Whiteleys, Selfridges might be Eliza’s favorite store. She especially loves their celebrated first floor window displays! Curtains hide the workers whenever a new display design is expected, and patrons eagerly await each unveiling. She always checks out the millinery department’s latest hats and the perfume counter’s numerous cases filled with lovely atomizers and unique bottles of fragrance. But Eliza – along with other ladies of 1913 – is most excited to visit the cosmetics counter. Queen Victoria believed cosmetics were vulgar and should be used only by creatures such as actresses and streetwalkers. But Gordon Selfridge began selling cosmetics in 1909, believing that once women were able to sample them, they would soon buy. He was right! Powder kept the face pale, and Edwardian ladies applied a touch of rouge on the cheeks to give them a youthful glow. However makeup did not become standard for most women until after WWI. Of course, Eliza also keeps up with 1913 fashion by visiting the department store displays of dresses, skirts, and jackets. Selfridges offers both “off the rack” clothing and custom made ensembles. They often host “fashion parades” for customers to show off the newest designs. Many well-born ladies of the era still prefer private dressmakers, and the upper class flock to Maison Lucile to see Lady Duff Gordon’s exclusive designs. Selfridges, however, catered to all the social classes; their bargain basement was extremely popular. As a Cockney flower girl turned lady, Eliza bridged the social classes just as Selfridges did. That may be why she views Selfridges as the perfect store. This is o nly one stop on the MOVE YOUR BLOOMING CORPSE Mystery Virtual Book Tour. For other stops on this tour, CLICK HERE. You can also read more about Eliza and Higgins in WOULDN’T IT BE DEADLY , the first book in the St. Martin’s Minotaur mystery series. D.E. 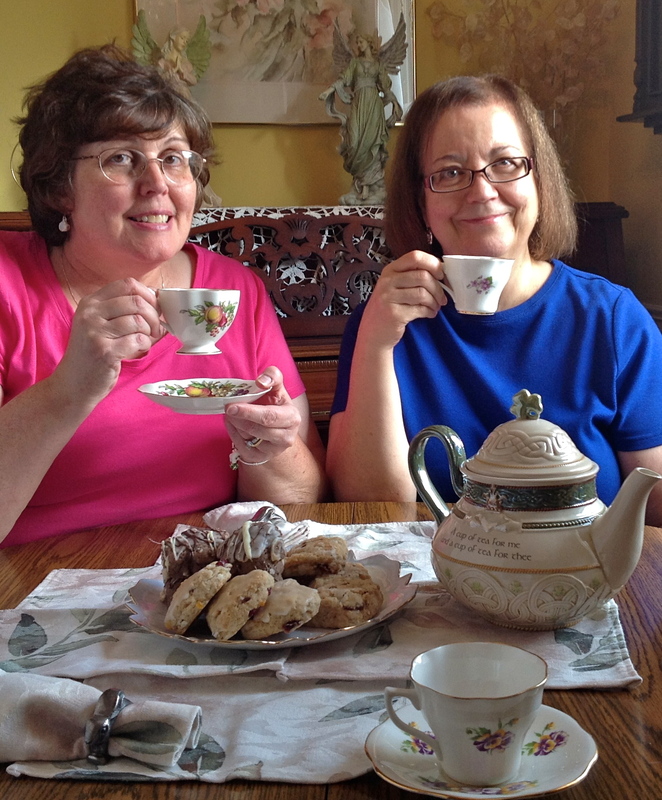 Ireland is a team of award-winning authors, Meg Mims and Sharon Pisacreta. Long time friends, they decided to collaborate on this unique series based on George Bernard Shaw’s wonderfully witty play, Pygmalion, using the beloved characters from Eliza to Higgins to Pickering, Mrs. Pearce, Freddy Eynsford Hill and his family, while adding a slew of new characters. They both live in Michigan, have patient husbands, brilliant daughters and share a love of good books, tea and history. In the second book from talented writing team D.E. Ireland, famous literary characters Eliza Doolittle and Henry Higgins once again come to life as a hilarious investigative team. Move Your Blooming Corpse explores the Edwardian racing world and the fascinating characters who people, from jockeys to duchesses, in this delightful traditional mystery that will appeal to fans of British mysteries. Eliza Doolittle and Henry Higgins are at the posh Royal Ascot, the biggest horse racing event of the season. Eliza’s father is the new co-owner of a champion racehorse, and Eliza and Henry are excited to cheer the Donegal Dancer on to victory. However, their idyllic outing takes a serious turn when a victim is trampled during the Gold Cup race and someone is found murdered in the stables. With time running out before the upcoming Eclipse Stakes, she and Higgins investigate jealous spouses, suffragettes and the colorful co-owners of the Donegal Dancer. But can they outrace the murderer, or will there be another blooming corpse at the finish line? As you can tell the story revolves around horse racing and things were “loverly” until people starting dying. Then Eliza and Higgins were right in the thick of things much to dear Freddie’s dismay. These characters are so superb, I love them all, even the guilty ones. They go above and beyond the movie and my expectations. They jump right off the page. The dialogue is absolutely delightful. The exchanges between Eliza Doolittle and Henry Higgins are so blooming funny. This author team has whipped up quite a mystery too. We go behind the scenes of horse ownership and racing and we also travel to a few suffragette rallies and Eliza gains a new skill. It comes in quite handy too and she and Henry come down the stretch to catch a killer. (sorry, I just can’t help myself.) There were a few pretty suspenseful moments that made by heart race pretty quickly. The authors are giving away 3 Hardcover Copies! Leave a Comment for the Authors for 5 Bonus Entries!!!! Love the time this series is set in, looks great and I hope to get a chance to read it. This sounds very entertaining, can’t wait. Congratulations, ladies! I enjoy historical mysteries and this sounds great! Love these Mysteries, can’t wait for a chance to read this. Thanks for this awesome giveaway. 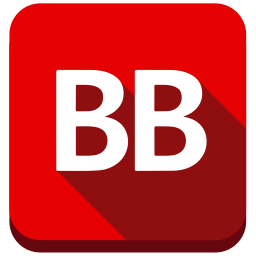 Thanks for this intriguing feature and wonderful giveaway. I loved the MFL movie and can’t wait to read these books. They are on my GR TBR. My Fair Lady is a favorite movie, and using Higgins and Eliza the characters in a cozy mystery? YEAH! I am very interested! This series sounds wonderful! Tried to win the first book on Goodreads, no luck, so I’ll just have to make Amazon happy (as usual). I loved your horsie puns, and hope to read both books soon. Thank you so much for the giveaways. I’ve always loved Eliza and I really want to read the series! Eliza should make for a fun mystery. Love the title! I am going to have to get this series. 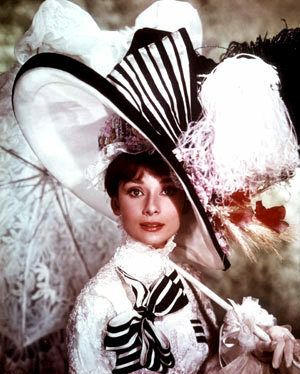 Eliza Doolittle is my favor character in My Fair Lady. My family laughs as I watch the movie once a month maybe more. 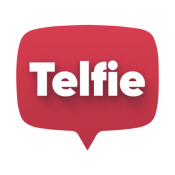 How did you decide on your non de plume? 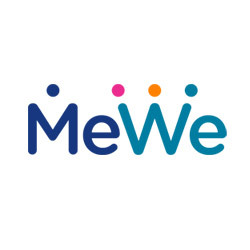 This looks like fun–a new to me series! Who wouldn’t love to hang out with Henry and Eliza more! This series sounds fabulous! Can’t wait to read about Henry and Eliza’s exploits! Thanks for the giveaway! An Eliza Doolittle & Henry Higgins Mystery series sounds like a fun read! I am looking forward to checking out the books in this series. Thank you for the giveaway. My absolute favorite time period. I have often wished that I had lived during that time. (with money though.) I love the pictures incorporated into the description. I can’t wait to get my hands on this mystery. P.S. The title is awesome.